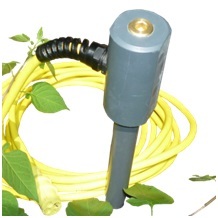 Low cost submersible PVC rod with several temperature sensors.Equipped with 4, 6 or 8+ temperature data logger set a user specified position. Can log temperatures at different depths at the same time. Based on the iButton® series, it comes in G, Z & 22L type buttons. Standard rods with top connector and 4 iButtons. 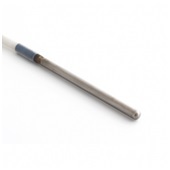 Options for more iButtons and 25ft submersible cable and connector to allow download from the side of a stream or canal.Perfect for geological surveying. Vacker Arabia is a major supplier of all items related to agriculture monitoring across the entire Kingdom of Saudi Arabia covering Jeddah, Dammam, Riyadh, Jubail and Khobar.